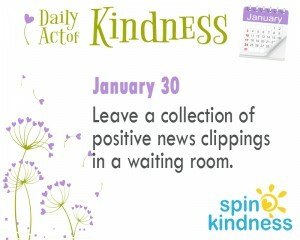 Today’s Challenge: Leave a collection of positive news clippings in a waiting room. We hear enough negativity in the world. The local evening news can leave a person feeling anxious and fearful. It affects us and influences our actions. Let’s spin that right around! Search the web, newspapers or magazines for positive stories – clips that inspire, warm the heart, or leave the reader feeling at peace. 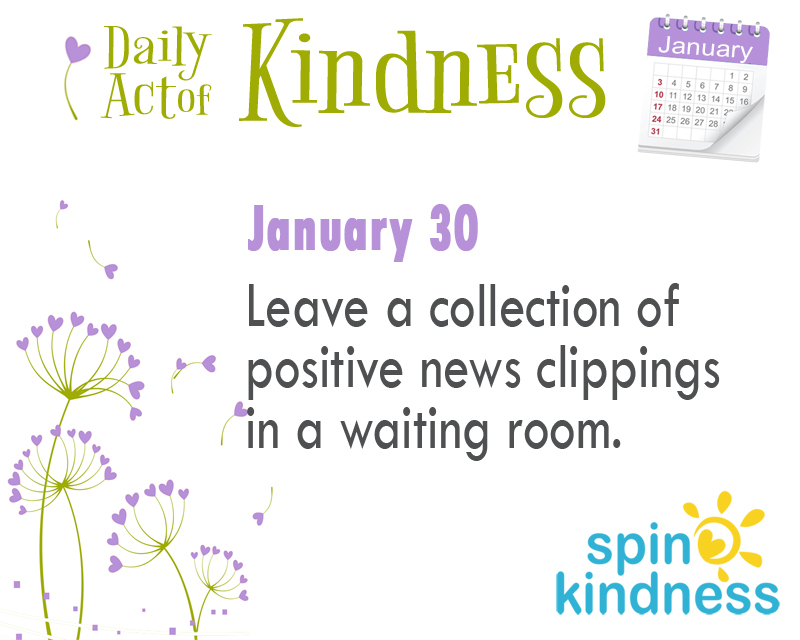 Make copies and leave them in a place where good news can make a big difference: in the waiting room of a doctor’s office, by the departure gate at the airport, or even on tables in a local coffee shop. There’s plenty of good news out there. Let’s share that!